Denmark is a European country that is known for many splendid reasons. For one, this country is popular for having an excellent and healthy business climate. It is also known for having a government with least corrupt officials. 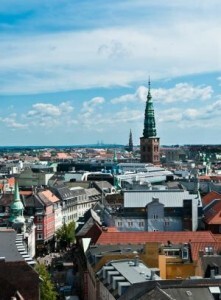 Denmark is also known as the world’s second most peaceful countries. Aside from these facts, the country also offers a great deal of attractions making it as one of the best places to visit in Europe anytime of the year. So if you are planning to visit Denmark anytime soon, the following reasons will surely help you come up with a more educated decision to pursue your Denmark trip. Denmark has had lots of awards and accolades in the past and one of the most distinguished distinctions it had received is when it was cited as the happiest place in the world. Getting a car hire service in the first place will help you roam around the country and meet Danish people smiling at you everywhere you go. During the summer, it’s a nice experience to shop in one of Europe’s pedestrian streets (the longest in Europe so far), have a picnic in Tivoli Gardens or simply have a carefree walk in the Amalienborg Palace garden. These work great during the summer season. However, the winter season in Denmark also has a lot of places to see and things to do. During this season, you can just head on to the city and enjoy Copenhagen’s 3-Day Carnival, Aalborg Carnival, or Horsens’ Holmsboe Festival. And if you weren’t born as a Dane, you would be more than happy like the Danish people, too. Freetown Christiana is one of Denmark’s most interesting places to be. It is here where you can see different sets of rules that are known to be liberated. Anarchism here is rampant with people doing the hippie movements, and people having yoga as the most popular pastime in the area. Simply, this is truly a different place for you may meet people selling skunk weed on Pusher Street! If you’re traveling with kids, they will surely have a wonderful experience in Denmark as the country offers a lot of kids’ attractions for them. Once you have hired a car in a hop, exploring the country’s fine places becomes a breeze. For sure, your kids will love the zoos of Copenhagen, Odense, and Aalborg. You can simply bring them to the museums like Skuldelev Toy Museum, JF Willumsen Junior Museum, Hans Christian Andersen Museum, and the famous Viking Ship Museum for a day filled with fun and learning.